Elizabeth Bowen is one of those writers who grow on you. It has been years since I have been reading her. She is almost a friend now. One of those best friends, I can safely say and no matter how dark her writing can get, I somehow find it comforting and seek refuge in it, all the time. Today was one of those days and her book was right beside me. So I turned to a page and it happened to be “The Jungle”. This story is rather unique according to me. It speaks of adolescence – of friendship and at the same time, there is this understated tragedy at the heart of it. It is about teenage girls and the plot behind the school, they refer to as “the jungle”. The story is striking and will appeal to people of all ages and perhaps also remind you of your teenage years. Bowen is not sugar coating anything. She talks about everything under the sun – relationships, sexuality and the conditions that surround them. A read not to be missed. 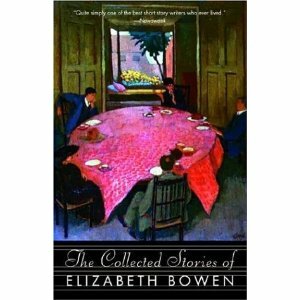 This entry was posted in 387 Short Stories, Books, Elizabeth Bowen, Review, short stories, Young Adults and tagged 387 short stories, adolescence, Day 85, Elizabeth Bowen, short stories, teenage, The Jungle on March 4, 2014 by thehungryreader.